shout4animals | A Shout for our SPEECHLESS FRIENDS! Names of Animal Rights & Welfare Organizations/Clubs/Societies in Pakistan. (Arranged in alphabetical order). Mission: Giving home to homeless animals. Mission: well to be honest its an endless effort .The primary mission is simple. “to give animals beings what they deserve ”..for years now they all have contributed a lot for our benefit. They provide us with Food , clothing , medicine , protection , work with us in some Way as the vital force ,they became the eyes for the blinds ,ears for the deaf and wheels for the disabled one, nevertheless THE LOVE THEY HAVE GIVIEN to us which I believe is more then what a human can give. Pain, torture, kill for fun, we cage them, just to have a sight and gave them nothing other then food; don`t they deserve freedom? For all the years, since the world started they gave each and everything they have. Even after a day full of torture they still give love in return and ask for nothing other then love. When I was a small child my father that time was in army and had to do a lot of traveling and I always used to go with him because I liked to explore new thing. one day I visited “larkana” there I saw one man beating his sick horse because he failed to pull the load on the cart after a long struggle he collapsed on the road and the owner unattached the horse and left him on the main road, This happened inside the in a city .I felt so helpless and I could feel the pain the horse was going through. 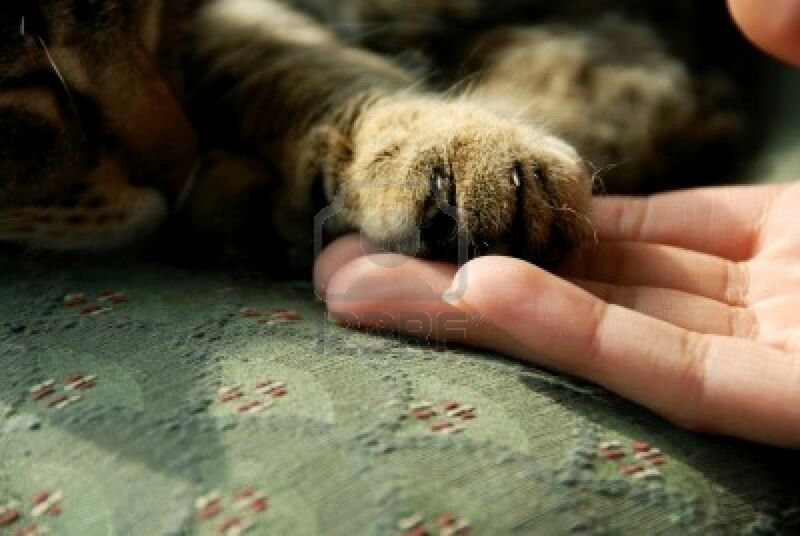 Since I was a small child I had an affection with animals and I cant see them in pain. I was really touched on seeing the cruelty against animals and I thought of doing something , may even be very small to save the animals from the cruelty being face so it became my Ambition to save the animals . It may well be realized that I m a very small creature to do this alone and may not be possible without the kind support of all my friends collogues and we wishers. I’m not asking to make a force, I just expect everyone to look around and do what ever could be done in the close proximity and help the unattended poor animals. 2.provide quality shelter. There we groom them , vaccinate them , and make them compatible for adoption. 3. Feed all the hungry animals out there as much as possible. 4. Provide medical assistance. We will soon launch a 24/7 toll free medical emergency phone line service which can be accessible in all Pakistan. It will be used for medical advisory. 5. Awareness program for the public. Here in Pakistan things are very different .people DO care but its not enough. Animal cruelty compared to other Asian countries is less, but not in ratio they still need our help. It’s not possible without your help . City: Head office in Islamabad /Rawalpindi . from January on wards it will have braches in Lahore ,Peshawar, Faisalabad, Sialkot, Attock and few more cities. Mission: Our mission is to Promote the humane treatment of all animals, Provide Public Education regarding animal care and welfare, Protect the animals placed in our care, and to seek responsible homes for the animals that can be adopted! Mission: To provide shelter and refuge to animals desperately in need. Mission: Soul mission is to give a new life to any animal who is suffering,injured,brutalized,or not kept properlyby giving it a new home and medical attention if needed. Basically we look for animals who are suffering or injured which we rescue and provide medical attention and give them on adoption. The new thing we are trying to do is the burial of dead animals.any animal found dead would be buried properly and wont be left on the road side causing health issues for both humans and other animals. 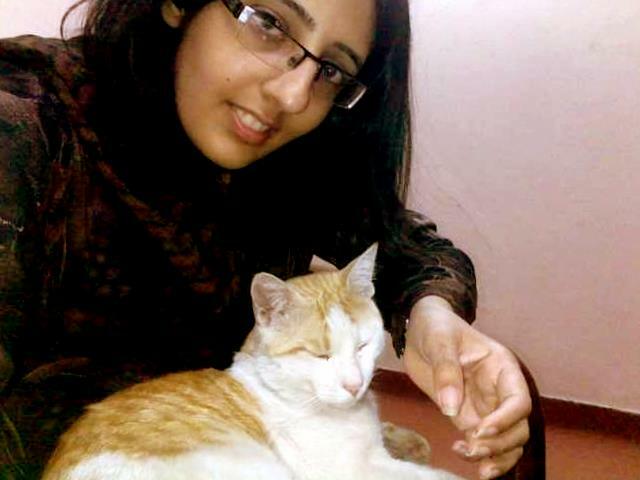 Mission: PAWS aims to create a more just and equitable relationship between humans and animals in Pakistan. We recognize that humans have a responsibility towards their environment and fellow species and aim to preserve and protect animal populations; their integrity, diversity, welfare and wellbeing. We also believe that the natural environment is a shared heritage for humankind and seek to create, promote and preserve ecologically sustainable relationships globally. PFAR aims to rescue injured, abused and abandoned animals from the streets of Karachi, treat them, and encourage people to give them a place in their homes. Once we are well recognized, and have enough donors, we will extend this service to ALL strays in the city, injured or otherwise. We also aim to encourage, guide and HELP the city government to enforce the TNR (Trap, Neuter, Release) Program, instead of poisoning these innocent creatures mercilessly to control the ever-growing stray population, which is not only morally WRONG, but also ineffective, and harmful for the people, environment and of course terribly painful for the animals. We want to build shelters around the city where we can house rescued animals, and domestic animals that people want to give up for adoption. Everyone will be welcome to come by and spend some time with them before they decide to adopt, to make the transition easier for both the animals and the adoptive family. We would like to educate people on the disadvantages of breeding domestic animals, selling and purchasing. We will also be stressing on the respect that we as a species owe to these beautiful beings. We believe in Low-meat and NO-meat lifestyles and encourage and support anyone who wants to know more about living the Kind life or better yet, try and pursue it. Founder: rtd. Major Talat Abbasi. Mission: We creating a community who love pet and care them and understand how pet changing in our life as be a worthless partner. A D O P T (Animal Depend On People Too) is our mission so we try to realize. we have a large society of Pet lover we provide network via pets to connect them. 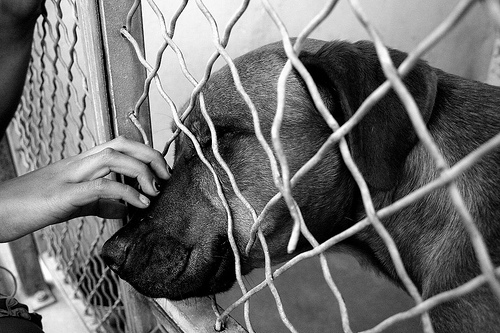 To help Stray animals, who desperately deserve our love and help. To make people aware about animal rights, that are basically made in Pakistan as well but are not followed upon. Mission: To facilitate adoption of homeless animals, to create general awareness about animals’ rights and to fight against cruelty to animals. Please join these pages and help them & support their cause!!! Well, b’coz it is morally good for human beings to be kind to Animals!! We all have choices, and I don’t want to push my views on anyone … but there are ppl out there who think that you cannot teach old dogs new tricks … and adopting a dog is a waste of time and energy. Well, so far i have read, that’s never an issue .. if u take a bit of time out and invest that on a homeless pet, you can easily make him learn tricks. In fact, he will learn new stuff way faster than a new pup. Cats are the same, my stray cat is far more loving and active than my own cat (Not saying i don’t love my Persian) but that is the truth. 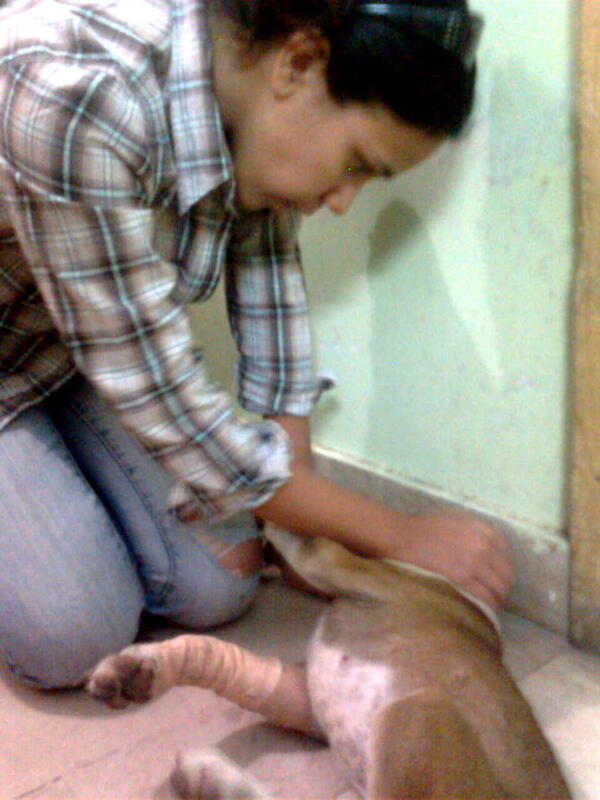 I think on the whole its a wonderful experience, in fact i think that helping out helpless animals make us more human!!! 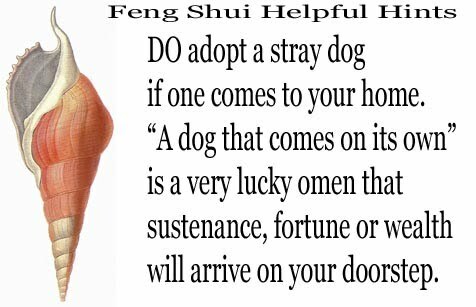 You can feed a hungry dog or a cat standing outside your house. You can place fresh water bowls outside. You can call animal rescue service if you see an injured homeless pet. You can donate food to our local animal shelter. You can donate some medicines to a Vet who looks after injured homeless animals. You can always stop someone abusing an animal in front of you. They are kicked and thrown stones at. They get hit by a car and left alone to die on the street. How to adopt a Pet? Take him directly to a vet and get him checked. For at least few weeks give him time to understand you & your family. And to make him gain your trust. You see most animals are abused outside and that’s why they think that when you raise your hands, you are about to hit them & not pet them. So give him some time. And most important thing, keep on reading about them. 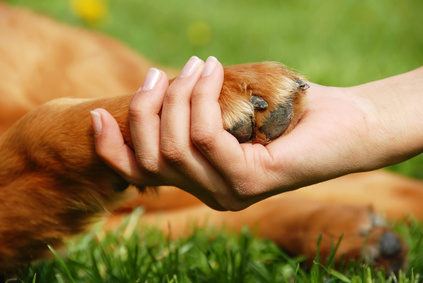 The more you understand your pets behavior the more rewarding it is in the end. What’s four when you have three?! Here are the stories on my precious angels who make my life complete: Zoe was a local’s dog who nearly starved to death in his “care”. Her normal weight was 72 lbs.& she was 35lbs. when we got her. She was skin & bones but, as you can see, filled out nicely. Shadow was a teeny pup, which I thought was a kitten, when I saw him running in the rain. I jumped out of the car & clapped for him to come & was surprised to see a little puppy. I tried for days to find his owner, but he became the joy and love of my life. Jacques “Sasquatch” (because he had huge feet) was left in an abandoned house by owners who moved. We think he had been teased mercilessly by whomever, because it took a year for him to accept that when you put your hand on him and didn’t move it, it wasn’t reason to go for you. He became such a calm, loving, clown of a dog. Finally, Precious was from the North Shore Animal League in NY. I wanted a docile female, so when she flopped over when I went to touch her, I knew she was the one. We took her home, fell in love, and then my brother-in-law visited and she went after his legs like crazy. Oops! She was ours now, so others had to learn to stay out of her way. We finally learned how to gently help her accept everyone and she turned out to be loved all around. It was as simple as making sure you absolutely ignored her until she came to you. Please adopt or save a stray! They are the most blessed gifts you can imagine! I grew up in a family that always had pets. We frequently rescued cats and dogs and lost creatures in need of a home. I was living on my own and it just didn’t feel right, so I went to my local shelter in search of a feline companion. I was given some treats to give to the cats and there she was, pawing at the cage door. I offered her the treat, but she just kept pawing at the door. They let me take her out and she was so comfortable being held in my arms. I knew she was the one. She was 2 1/2 and had been in the shelter for three months, but was still so happy, I almost cried. I moved back in with my family and she quickly became a permanent fixture. She loves to be loved and can play all day. She plays tag and plays with anything she can. In my family, when a cat gets very hyper and playful, we call it “gettin’ the mojo”, so the name seemed perfect for her since she was always running around playing with something. She loves meeting new people and can melt anyone’s heart. She’ll walk in front of the door so I won’t leave and she can put on the cutest faces to get me to stay. My whole family adores her and life just wouldn’t be the same if she wasn’t there. She always wants to know what you’re up to and doesn’t mind be carried around on your shoulder so she can be involved in everything. If you start patting her toosh, she’ll give you an hour to stop. She’s sweet and cute and so loving. I got way more than just a pet when I took her home that day. 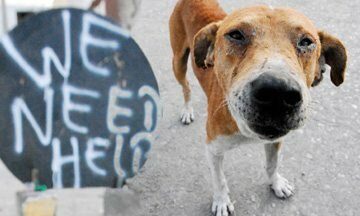 Tagged as Rescue Animals, strays, Why adopt a Stray? Supere’ Memorial Animal Welfare Forum!! Do you think opportunity wonders around your house, looking for u to pick it up and look after it??? And then waits for u to take it to a next level? In this story ….. our little opportunity was a Stray Cat named Supere’ and this is his story. “Being a stray is not easy these days, im soooo hungry right now that i can actually eat a horse … even a rat would do or a cup of milk ….. wow!! how lovely would that be!! But who am i kidding, who would feed me milk??”. Hungry and tired, Supere’ continued his journey looking for food and a safe place to rest. “What??? Why are they chasing me???? what did i do?? im just hungry, wish they could have at least let me eat from the trash area …..” after gettin chased by bunch of kids. “Hide, hide, hide ……. “, Hides under a car! !, “Dammit, i think this place belongs to some other cat ….. ewww stinks …. “, he runs towards a house and starts praying that at least they let him rest there for few hours. No one was around, so he quietly placed himself under a shade and went to sleep. To his luck he woke up with a bowl of milk in front of him. “slurp slurp slurp ….. slurp .. who?? why?? when did this happen?? slurp slurp slurp … ” He stops and for the first time saw the person he will stay with for the rest of his life. Mehvish!!! She opened her heart and doors for him. Brought him in, cleaned him up, gave him food and a warm comfortable place to sleep. NO MORE RUNNING, NO MORE HIDING (Unless its for hide n seek game), NO MORE STAYING HUNGRY, NO MORE CAT FIGHTS!!!!! Mehvish didn’t stop giving, even after Supere’ left. 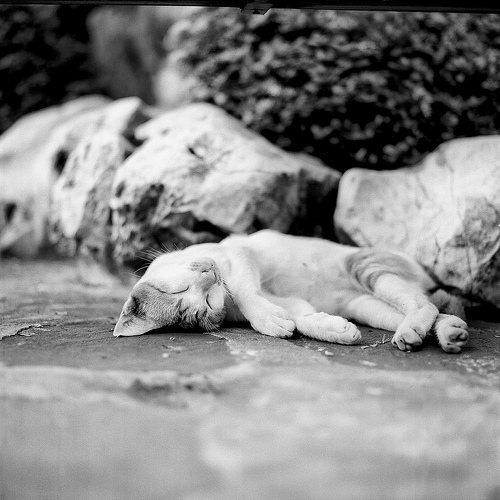 In fact Supere’ was not just a cat – he was more like an inspiration. Enough Inspiration to make a difference. Today, Supere’ Memorial Animal Welfare Forum Pakistan contains more than 230 followers. And almost all of them are active and dedicated towards the mission of helping out strays. Many of them try finding suitable place for these homeless pets, others reject the idea of caging and selling cats. Vasi Jamal: Pages such as these not only provide means for creating, and spreading, awareness about the critical issue of Animal welfare, but also enable pet owners to educate themselves about bettering the future of these wonderful voiceless creatures of Allah. 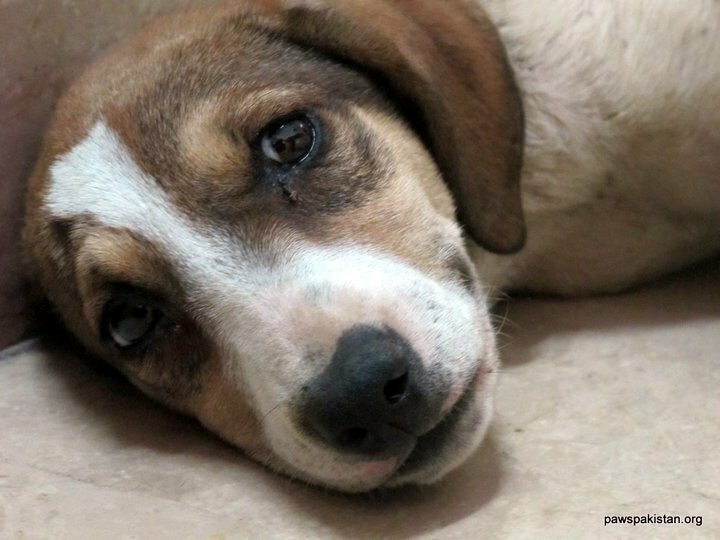 Facilitate adoption of homeless animals, to create general awareness about animals’ rights and to fight against cruelty to animals. Dear readers, plz know that your Supere‘ is still out there, or probably right outside your home … waiting for u to bring him a bowl of milk and then to take him inside your house. BUT ARE YOU READY TO MAKE A DIFFERENCE IN SOMEONE’S LIFE??? It’s for u to decide!!! Live well, but a Purposeful life!!!! 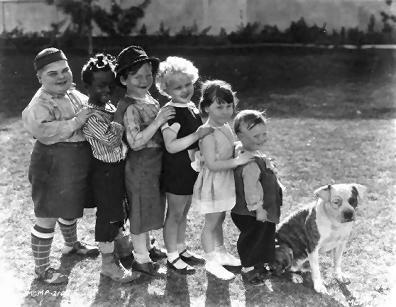 This is Petey with The Little Rascals. Now, you can go on, on any website, go insane looking for stories of how these kids were in danger working with such Vicious and dangerous animal but i can only suggest you to not to waste your time. WAAAAAAAAAAAAAAT???? More tests??? aite … last one, i promise …. just tryin to prove a point here!! So, I read (Yes, i do read alot) ..
~ Diane Jessup, a pit bull owner & a retired animal control officer in Washington state. Thanks to our Media and ignorant people, this breed was transformed from “The Nannies of America” to “Some Dogs are Weapons – Ban Them”. Done with “My Pet n I” Season 1!!! Yeah!!!!!!!!!!!! Had soooo much fun, pets were awesome and i wasn’t scared … at all!! well, maybe just a little … but i think i did okay. Really!! So??? wats next??? Season 2 OBVIOUSLY!!! But the big picture is that, just because of this show we have met soo many ppl who are totally into workin for animal welfare. So …… wats next??? Well, forming up an organization where we can put all these ppl together and do something for our furry friends. Emergency Shelter for injured animals. See Pakistan Prevention of Cruelty to Animals ACT 1890, amended and implemented. All this is possible, it will take some time, maybe years …. but … its possible. Season 1 was a success, got good reviews and ratings. Our Facebook Page members went from 0-2000 in just couple of months, we received more than 900 pet pics from all around Pakistan. Tons of discussions and suggestions/advices took place on our page. All good stuff. OK!!! Now that I have quoted Spider Man movie, let me introduce you to a club/society of people who are the REAL HEROES … n NO … they don’t fly around buildings or run faster than a speeding bullet …. THEY ……. (wait for it …………) THEY FIGHT CANCER!!!! How AWESOME IS THAT??? Please know that: Cancer is the second leading cause of death worldwide and is expected to increase by 500% in the coming 25 years. So, without further ado ……. 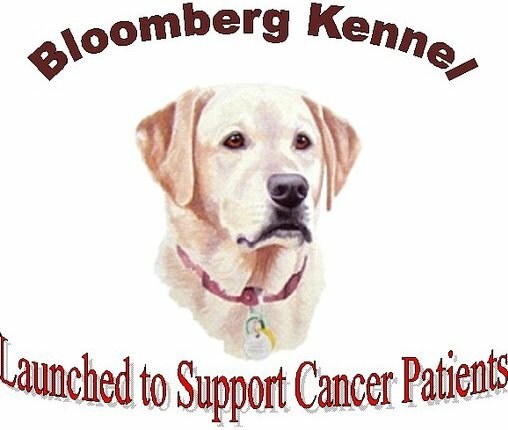 First time Introducing ……..
Bloomberg Kennel stands committed for Cancer Control & Treatment to the needy population of Pakistan. Now you might ask ….. wat is the connection between Supporting Cancer Patients and Kennel??? Well, Bloomberg Kennel donates funds generated through it’s kennel breeding. >> Total donations of Pakistani Rupees 1,500,000/=. >> And Pakistani Rupees 75,000/= were distributed among the two families in providing them the opportunity to earn bread for their families by establishing a small scale business. As a next step they are now collecting funds to buy 3 ambulances. 2 ambulances would be used for the purpose of human patients and 1 would be used for animals that require to be taken to the vet or for any medical treatments/tests and would be available 24/7. Bloomberg Kennel shall be working in tune with the guidelines of National Cancer Control Programme of World Health Organization by generating awareness amongst children and adults in the Regional Languages throughout the Country. 2. Propagating our message at National and International level. 5. Reducing the Morbidity (sufferings) in Cancer. 6. Reducing the Mortality (deaths) by promoting early detection and treatment. 7. Improve quality of life of patients & family. 8. Financial assistance for palliative care/ treatment/ welfare/ rehabilitation of Cancer Patients. 9. Financial Assistance to other agencies engaged in meeting our objectives. 11. Other Aspects of Cancer/ patients. 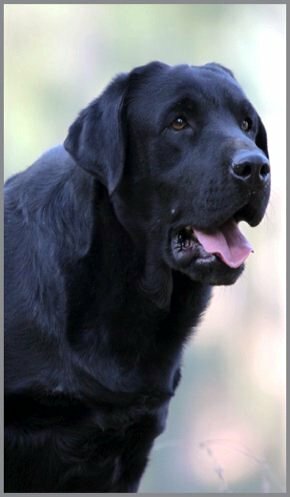 They have a FaceBook page that contains all their info: So if you love Labradors and you want to get one for yourself …. Then why not just get a new pet from them??? 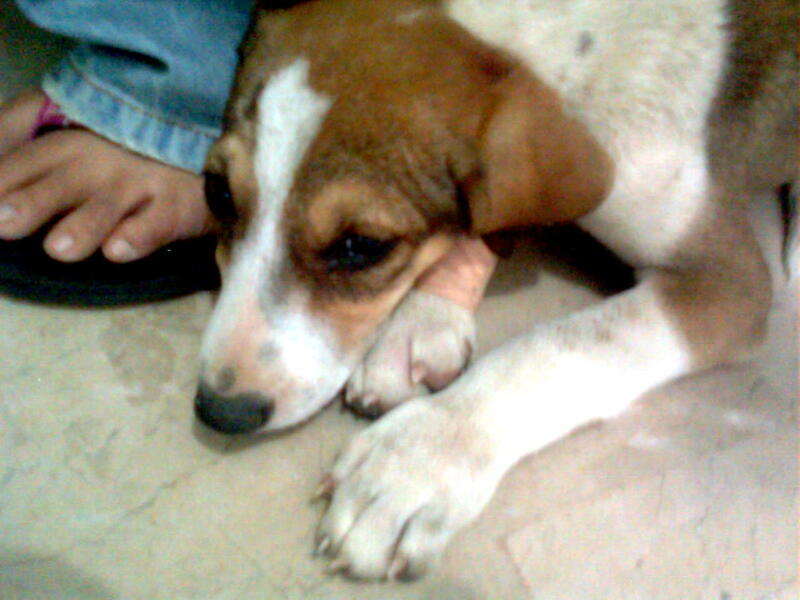 March 11, 2011: A puppy hit by a car was picked up by a volunteer and brought to the Karachi Animal Hospital. We paid him a visit, and within few minutes we become absolute friends. We need better emergency services, we need shelters, we need Govt to implement “THE PREVENTION OF CRUELTY TO ANIMALS ACT, 1890” and we need to educate ppl. the shy one’s frightened face. Abused? Or was she born this way? the love she needs to heal. is something she alone can’t do. she yearns to give away. won’t see her fears as flaws. who’ll love you all your days? behind the mask of pain. how cautious you must be. she’s coming home with me. a best friend in disguise. A Japanese aquarium said it had hatched two Humboldt penguin chicks, the first time the technique has been successfully deployed for the species. New research may help explain the growing obsession in some countries with short-nosed dogs. Farmed Atlantic salmon often suffer from such high levels of stress and depression that many become lethargic and essentially give up on life, finds new research. A Shout for our SPEECHLESS FRIENDS! shout4animals · A Shout for our SPEECHLESS FRIENDS!